The main task of the technical team is to provide full technical support to the HiLASE scientific team, starting with visualizations, through the construction of mechanical and opto-mechanical parts and equipment, through control systems to ensuring the running of workshops, laboratories, buildings and related technologies. At the same time, the technical team ensures the safety of the building, laser laboratories and experimental workplaces. There are 14 engineers and technicians with many different specializations, divided into four groups. We are experienced specialists who deal with the technical aspects of scientific work. We provide development of our own mechanical structures for individual research teams. We specialize in the design of precise opto-mechanical devices with special requirements (IR radiation, vacuum, vibration, LN2 cooling, etc.). Our goal is to programme and build control systems for our laser centre. The field of application is wide: from automation of laser processes through the security system of persons and equipment to the design of electronics. Our goal is to ensure the smooth running of the building, the most effective maintenance of our current technological equipment, maintaining a pleasant working environment and providing high-quality technical support for all employees. The safety of our employees is for us on the first place. Therefore, in our team you will find both - occupational safety and health specialists and laser safety specialists. Lasers developed in the HiLASE center have a wide spectral range (206 - 3500 nm) and high peak intensity that many times exceeds maximum permissible exposure for eyes and skin. For this reason, the labs are regularly monitored and all laboratory personnel trained for laser safety. We ensure that everything that our scientists and technicians do is consistent with legislation and technical standards. Martina Rehakova: "We enjoy working on the edge of technical possibilities." 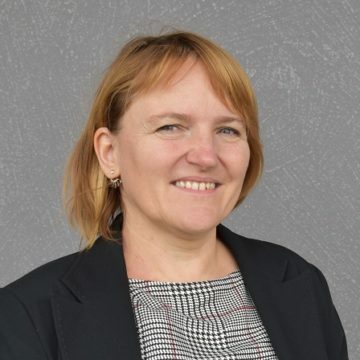 Martina Rehakova graduated at the Faculty of Mechanical Engineering of the Czech Technical University in Prague in the field of Instrumentation and Control Automation with specialization in Precision Mechanics and Optics (1991). She also studied Optometry at the Palacký University in Olomouc. She has extensive experience in leading teams of technicians working on implementation of various technological projects, not only in companies specialized in the development and production of optical components, but also in the automotive industry and in her own company. She was the co-solver of several patents. Since 2011 she has been the coordinator for technologies in the HiLASE center, part of the Institute of Physics of the Czech Academy of Sciences.